The original from the Inventor. Guaranteed Swiss Precision and superb design. Reliability and know-how since 1981. 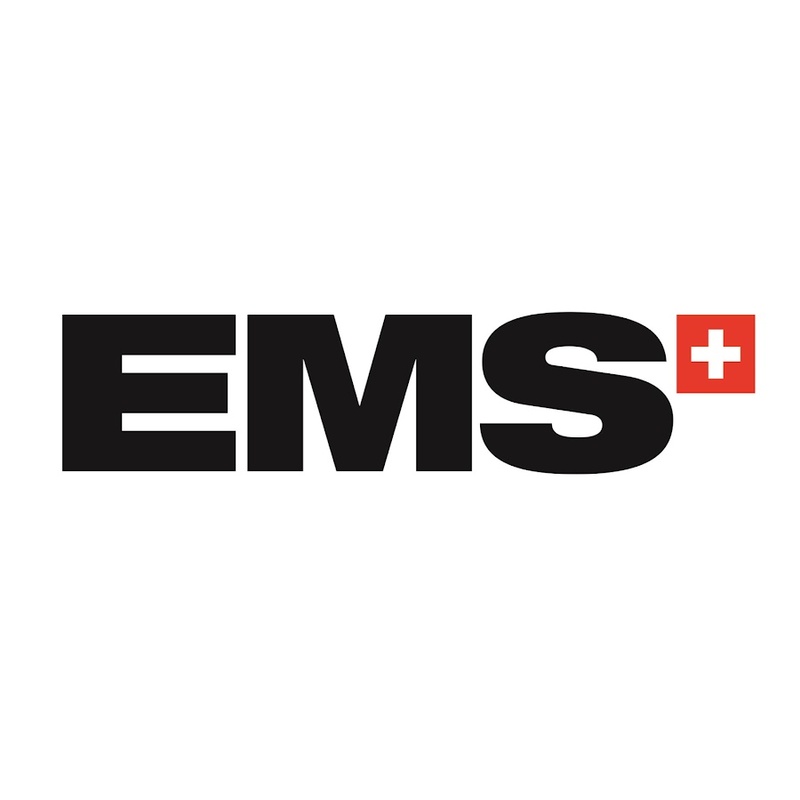 The Swiss Made AIRFLOW® Prophylaxis Master was developed in the EMS Research Center with more than 100 000 hours of technical and clinical testing in collaboration with leading dental professionals from all over the world. The original from the Inventor. Guaranteed Swiss Precision and superb design. Reliability and know-how since 1981. 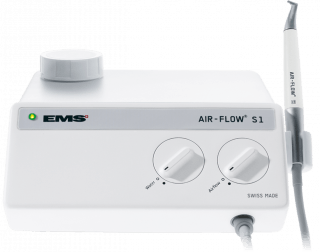 The Swiss Made AIRFLOW® One was developed in the EMS Research Center with more than 100 000 hours of technical and clinical testing in collaboration with leading dental professionals from all over the world. The gentle AIRFLOW® & PERIOFLOW® treatment provides a fast and pleasant biofilm removal, eliminating stains and partially-mineralized deposits in both sub and supra-gingival areas. 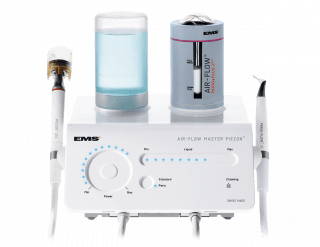 Together with the PIEZON® NO PAIN technology and its dynamic power response, the AIRFLOW® Master Piezon is able to provide a minimally- invasive treatment for calculus & mineralized deposits – all in one device. 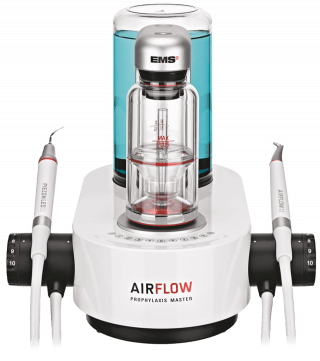 The AIRFLOW® Master has been specifically conceived for sub & supragingival prophylaxis, removing biofilm from natural teeth and implant surfaces.  It’s ideal for orthodontic patients, hypersensitive patients and recall appointments, with the ability to treat hard-to-reach areas with clinical precision, reliability and comfort. 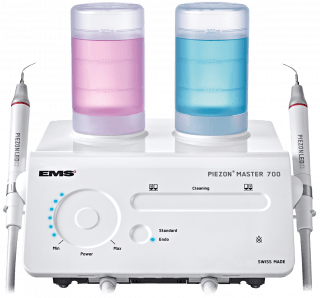 The PIEZON® Master 700 provides a fast, professional and minimal-invasive calculus removal, eliminating biofilm and other mineralized deposits thanks to its cavitation and acoustic streaming effects. The unit has a multi-functional pedal and a touch-panel interface with blue LED lights to regulate the power & irrigation settings. It also features the award-winning RED DOT design and an automatic cleaning system that purges fluid lines for greater hygiene standards and durability. Increase your productivity and patient satisfaction: The PIEZON® 250 is a dental unit for the professional removal of tarter and hard calculus. Its compact form takes up less space than an A5 sheet of paper, making it ideal for cabinets of all sizes. You can remove hard calculus and other mineralized deposits with superior efficiency and comfort thanks to its thin, robust and lightweight PIEZON handpiece. Six LED lights are located around the tip of the handpiece to illuminate the oral cavity for 20 seconds, making plaque easily visible. The linear vibration of the instrument’s oscillatory movement ensures a high-precision treatment for reliable clinical outcomes. 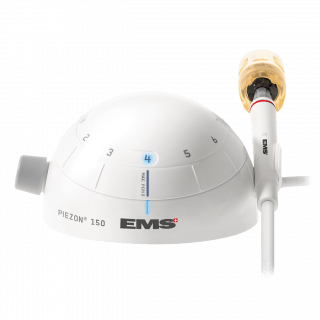 The PIEZON® 150 is the first of its class when it comes to direct-waterline devices. It carries the standard PIEZON® module with an ultrasonic performance of 32,000 linear oscillations per second, providing an efficient calculus removal and maximum precision. It has a compact design, taking up very little space in the office, with an intuitive power-control interface. Equipped with six LED that deliver daylight quality, the PM 150 is ideal for hard-to-reach cavities and pockets. A timeless device: count on the AIR-FLOW® S1 for an efficient airflow treatment and the safe removal of soft deposits and stubborn pigmentations in fissures and interdental spaces alike. The flexibility and ease of use of our products provides the opportunity to quickly master our devices. 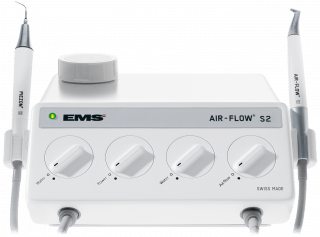 Benefit from their simplicity and intuitive use thanks to the patented EMS free-flow technology. With the AIR-FLOW® S1 you will not suffer from powder clogging, lag issues or over-powder consumption at high energies to which some ordinary air-polishing flat-panel devices are prone to. 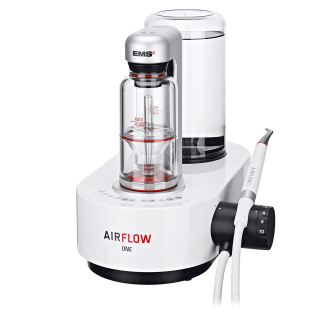 To go with your unit you get the original AIR-FLOW® handpiece for optimal access and high-precision spray, with which our customers can generate the highest-quality dental treatment with the lowest possible powder consumption. 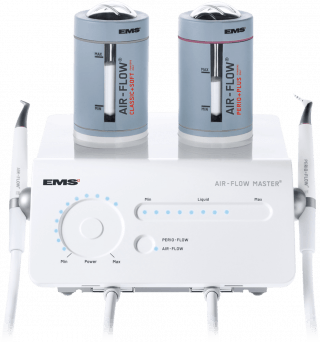 Being a hallmark device, the AIR-FLOW® S2 provides a simple switchover between the AIR-FLOW® and PIEZON® solutions, bringing greater convenience and efficiency to your practice to the workplace. It is specifically designed for biofilm, stains, soft deposit & calculus removal, especially in hard-to-reach areas, interdental spaces and fissures. It has a multifunctional pedal and heated water jet – ideal for hypersensitive patients and children. 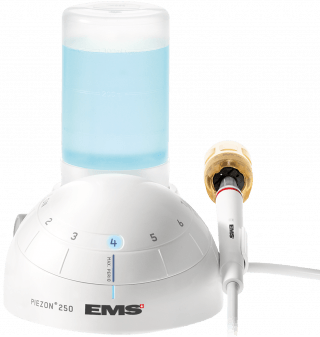 What’s more, thanks to the PIEZON® ultrasonic module, the AIR-FLOW® S2 is able to provide precise linear oscillations with no lateral deflection, bringing greater precision and predictable clinical outcomes.